Deputy Sheriff Scott Ballantyne and Mr. James Chavez, a civilian pilot, were killed in an airplane crash near Lake Success at approximately 4:15 pm. The aircraft was assisting deputies on the ground search for a subject wanted for brandishing a firearm. It was preparing to leave the area after the suspect was arrested when it suddenly lost altitude and crashed into a mountain in the area of Route 190 in Springville. Deputy Ballantyne and Mr. Chavez were the only two occupants of the CTLE ultralight. Deputy Ballantyne had served with the Tulare County Sheriff's Office for 27 years. He is survived by his mother and sister. On Tuesday, December 24, 2013 at approximately 0239 hours, three different civilians called dispatch to report a traffic accident involving a Sheriff’s Inmate transportation van. The van was found on Road 204 south of Highway 198 near the Friant Kern Canal Bridge. No other vehicles were present. Officers from the Woodlake and Exeter Police Departments arrived on scene and began to perform CPR on the driver who had been ejected from the vehicle. A Sheriff’s Sergeant also arrived on scene. Two inmates were still in the vehicle and received minor injuries that were treated. All parties were transported to a local area hospital for treatment. 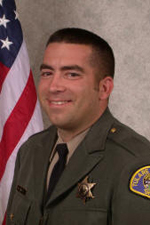 Deputy Jeremy Meyst was raised in the Visalia area. He was a 2001 graduate from Mount Whitney High School. 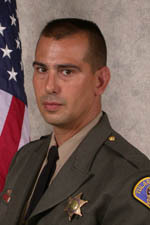 Deputy Meyst was hired by the Tulare County Sheriff’s Department in October of 2004 as a Detention Services Officer. In April of 2006, he was promoted to Correctional Deputy. His last assignment was at the Sheriff’s Main Jail Facility. Sergeant Greg Hernandez died in the line of duty on February 6, 2009. Sergeant Greg Hernandez was responding to a call to assist one of his deputies when he collided with a tractor trailer on the evening of January 29, 2009. Sergeant Hernandez rushed to Fresno Regional Medical Center where he later succumbed to his injuries. 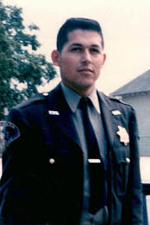 Sergeant Hernandez, age 50, graduated from College of the Sequoias Police Academy in May of 1984. He worked in a number of specialized units such as Narcotics, SWAT and was a Hostage Negotiator. 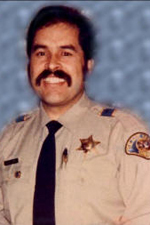 Hernandez served the Tulare County Sheriff’s Office for 25 years. He is survived by his Mother, Rosa, fiance Carrie Lawrence, and his daughter Kristina. Detective Kent Haws died in the line of duty on December 17, 2007. Detective Haws was checking a suspicious subject along an orchard north of the town of Ivanhoe when he was shot by the suspect. Detective Haws was rushed to Kaweah Delta District Hospital where he succumbed to his injuries. 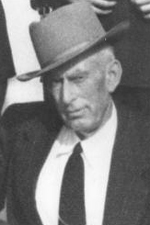 Detective Haws, age 38, graduated from College of the Sequoias Police Academy in December of 1998. He was a member of the SWAT team and Search and Rescue team. Haws served the Tulare County Sheriff’s Office for 10 years. He is survived by his wife Frances and their three children Dominic, Nicholas, and Evan. On the evening of October 6, 2005, Deputy Kevin Elium, a five year veteran of the Tulare County Sheriff’s Department, was on patrol in Porterville with volunteer sheriff’s chaplain Lee Sorenson. At approximately 2100 hours Deputy Elium answered a call to back up a fellow deputy on a high-risk traffic stop in the Strathmore area. As he attempted to pass a car with lights and siren on, his patrol car went off the narrow roadway and hit a tree. The driver of the car Elium was passing witnessed the crash and was first to call 911 dispatchers on a cell phone. Both Elium and Sorenson were pinned in the patrol call. After about 25 minutes, Sorenson, age 73, was pulled from the car by rescue crews and taken to Sierra View District Hospital, where he since recovered from his injuries. It took approximately another hour to free Elium from the wreckage. He was flown by helicopter to University Medical Center in Fresno. He died at the hospital shortly after midnight on October 7. 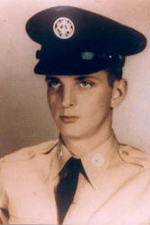 Elium served in the U.S. Army and worked as an emergency medical technician in the South Valley for ten years. He was hired by the Tulare County Sheriff’s Department after graduating from the College of the Sequoias Police Academy in 2001. He worked first in the detentions division and later transferred to transportation. 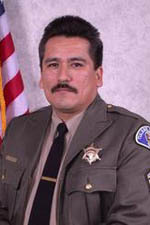 He was promoted to patrol duties in 2004, working from the sheriff’s Porterville substation. Deputy Elium is survived by his three children, parents, and foster parents. 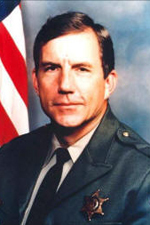 Deputy Egan died on May 2, 1989, as a result of a traffic accident while on his way to Porterville Municipal Court to testify in a narcotic’s case. A woman failed to stop at a red light and collided with Egan’s patrol unit. He died at the scene of the accident. Egan came to Tulare County Sheriff’s Department in July of 1983 after serving nine years with the Orange County Sheriff’s Department. He was a member of the Department’s Special Tactical Enforcement Patrol, a unit within the Sheriff’s detective division. He is survived by his wife Joann, daughters Michelle and Nicole, and son Robert. Detective Joseph Landin died August 5, 1985, as a result of a traffic accident while investigating a narcotic’s case. 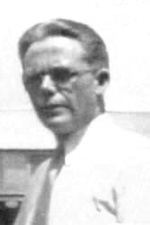 Also killed was his partner, Detective Monty Conley. A driver ran a stop sign and slammed into the deputies’ patrol unit on the Highway 99 and Avenue 120 off ramp. The driver was subsequently sentenced to five years, four months in prison on the conviction of vehicular manslaughter with gross negligence. The deputies were members of the Tulare County Sheriff’s Narcotic’s Task Force. Prior to joining the Department in 1981, Landin was a patrol officer for the Woodlake Police Department from 1974 to 1981. Landin, 34, lived in Woodlake at the time of his death. He is survived by his wife Betty, and three small children. Detective Monty Conley died August 5, 1985, as a result of a traffic accident while investigating a narcotic's case. Also killed in the crash was his partner, Detective Joseph Landin. A driver ran a stop sign and slammed into the deputies' patrol unit on the Highway 99 and Avenue 120 off ramp. The driver was subsequently sentenced to five years, four months in prison on the conviction of vehicular manslaughter with gross negligence. The deputies were members of the Tulare County Sheriff's Narcotic's Task Force. Prior to joining the Department, Conley worked as a patrol officer for Woodlake Police Department from 1972 to 1973. 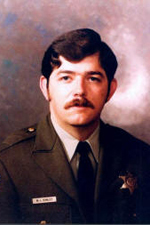 Conley joined the Sheriff's Department in 1973. He worked in various divisions, most recently serving as assistant commander of the narcotics division. He was voted Officer of The Year by the Visalia Optimists Club this spring and was a member of the California Narcotics Task Force. He lived in Woodlake with his wife Rosalie and their 7-year-old son Matthew Earl. Deputy Magana was killed when his patrol car was struck by a train in heavy fog at an unprotected crossing on State Route 201 near Cutler, California. At the time of the accident he was responding to a possible burglar alarm at the Stone Corral Irrigation Water District office. Deputy Magana had served with the Tulare County Sheriff's Office for 2 years. He had previously served as assistant chief of the Fowler Police Department for 8 years. He was survived by his wife, daughter, and two sons. Deputy Cox had served with the agency for 13 months. Deputy Ross Cochran was killed in an automobile accident on Highway 99 while en route to a burglary call. His vehicle collided with another car that had been traveling on the wrong side of the two-lane road. Deputy Cochran had only been employed with the Tulare County Sheriff's Office for two months, but had been in law enforcement for over 20 years. Special Deputy Johnson succumbed to a gunshot wound sustained two months earlier while attempting to arrest a man who had stolen a car. The suspect shot Special Deputy Johnson in the shoulder with a .22 caliber rifle. The suspect was shot and wounded by a citizen and taken into custody. 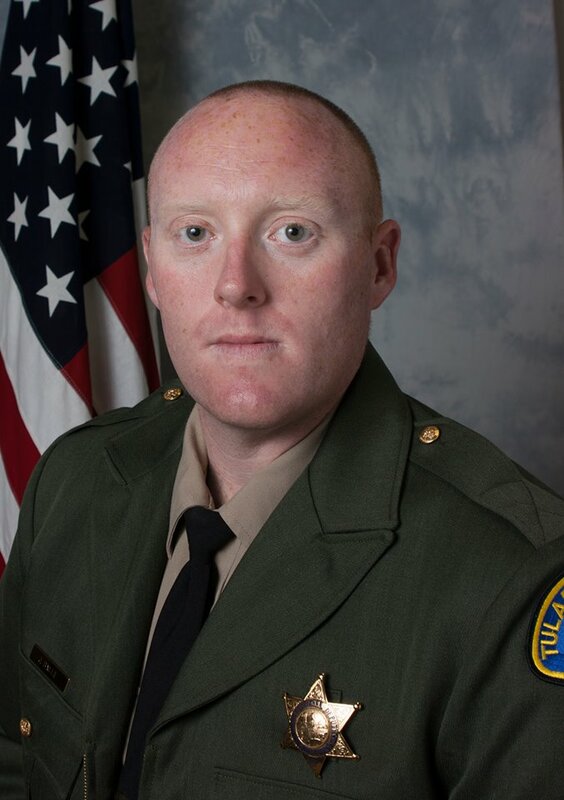 Special Deputy Johnson was initially taken to Porterville Hospital, but was later transferred to a San Francisco hospital for treatment to an injured nerve as a result of the gunshot wound. He underwent surgery to remove the bullet and to try to repair his arm, but died the day following the surgery. Special Deputy Johnson had only been sworn in as a deputy two months prior to the shooting. He was survived by his wife, two step sons, a brother, and a sister.